For the past five summers at Burke Presbyterian Church (BPC), we have taken a leap—from the traditional Vacation Bible School (VBS) that had always been a highlight of our children’s programming—into something that has been, for us, new and refreshing. 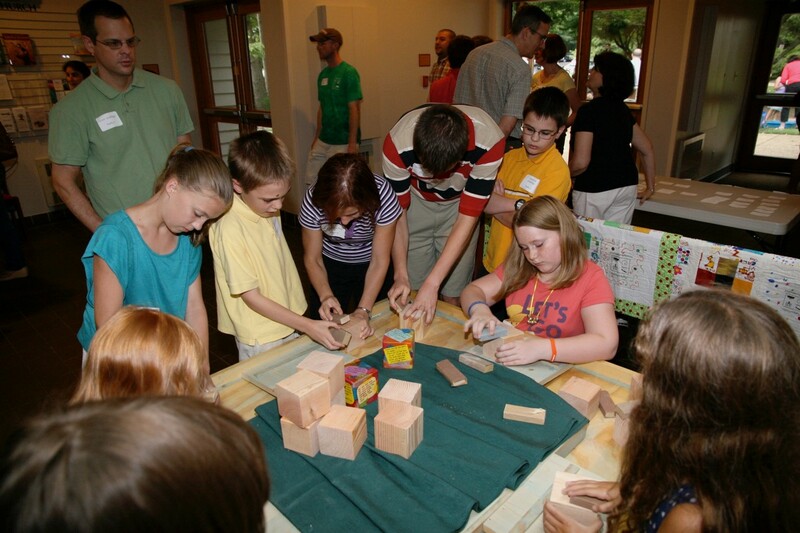 We’ve had a long history of offering VBS, and in 2005 we began to develop our own program with an emphasis on slowing our pace, going deeper, and forming community. We became known among our neighbors for our unique approach, and, in fact, the model that we created has been borrowed and implemented in other churches. So why, you might ask, would we do something different? Why change what is working well? In January 2012 when we gathered for our annual “what-are-we-going-to-do-for-VBS?” meeting, the energy level was simply lacking. We sat for a time … until our children’s elder broke the silence with, “What if we were to try something entirely new?” She had our attention. Giving ourselves permission to wonder, we realized that, as captivating as our VBS had been, it had become a reliable, nearly institutionalized model. So we began to ask ourselves the big questions of how we could best use our time and energies both to strengthen the bonds within our church and to serve God and the community. How could we live into the mantra that we often repeat, “Less is more,” to provide a fresh wellspring of spiritual growth and nurture for our BPC community? What would bear the most nourishing fruit in this time, which for us was an interim period after the departure of a beloved, long-time pastor? Out of these frank questions and honest wonderings, and within the new space created by letting go of our traditional Vacation Bible School, The Well was born. Of course, there were birthing pains associated with growing The Well. The team knew that this change would be hard for some folks to accept, and that intentional and thoughtful introduction to The Well would be needed. We began with the leaders of the church, first proposing the idea to the Spiritual Growth Ministry Team, and then to the Session. Carefully timed communications via church-wide letters, emails, and newsletter articles followed, along with face-to-face conversations with small groups and individuals along the way. While news of The Well was largely met with anticipation and openness, a few pushed back and, with certainty, said that letting go of VBS was shirking our commitment to evangelism, and, after all, we had always done Vacation Bible School! In the end, among those who challenged us, most wound up joining us at The Well. In July 2012, and for the next five years, The Well blossomed into a three-evening multi-generational event that included BPC members and friends of all ages and stages and family configurations. Each evening, we began our time outdoors with an informal and invitational gathering marked by live music on the front lawn, games and sidewalk chalk and bubbles, and water and process art that drew children—and the child in all of us—together for sharing and conversation. Following mealtime—generally offering breakout sessions for the youngest among us—we enjoyed the “program” portion of the evening, often featuring a guest or in-house speaker or storyteller. Some years we restructured an entire evening out of the three to pack meals for Rise Against Hunger. We concluded each evening all together in the sanctuary for evensong. Just enough time for night prayers and prayer songs, for “good nights” and “good byes”. There was a wonderful simplicity to The Well, exemplified by the tiny pile of items to be sorted and put away afterwards compared to the usual digging-out after VBS! Indeed, there were far fewer moving parts than with our traditional Vacation Bible School. Rather, our goal was to create the space for moving experiences, for deep-well moments, and for making memories as a family of faith. 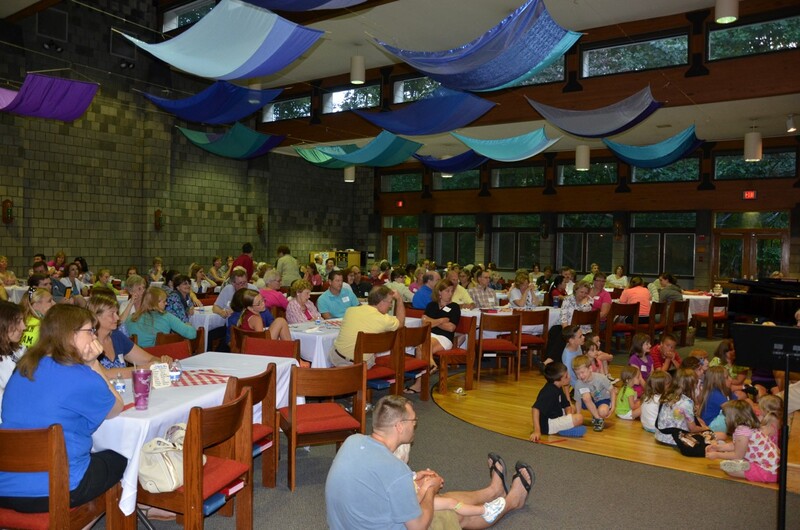 The spirit of saying yes to new things continues at BPC, and this year, overflowing with energy of so many young families, we are feeling the call to circle back to Vacation Bible School, which is also a multi-generational ministry involving at least as many adults and youth as it does children. And the five years off have given us a chance to take a fresh look at our practices and purpose. I’m glad that, as wonderful as The Well has been, we didn’t get so comfortable with it that it became an institution. God does, indeed, work in amazing ways! Arlene Decina is Director of Spiritual Growth Ministries of Burke Presbyterian Church in Burke, Virginia.